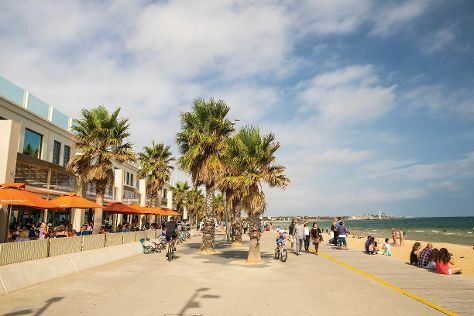 Get outdoors at St. Kilda Beach and Melbourne Zoo. Do some cultural sightseeing at Melbourne Museum and Shrine of Remembrance. Venture out of the city with trips to Moonlit Sanctuary Wildlife Conservation Park (in Pearcedale), Werribee Open Range Zoo (in Werribee) and Sovereign Hill (in Ballarat). On the 25th (Wed), give your taste buds a day to remember with a local gastronomic tour. Dedicate the 28th (Sat) to wine at some of the top wineries in the area. There's still lots to do: admire the masterpieces at National Gallery of Victoria, get lost in a book at State Library of Victoria, take a stroll through Melbourne Central, and steep yourself in history at Old Melbourne Gaol. To find traveler tips, maps, ratings, and other tourist information, refer to the Melbourne vacation site . In July in Melbourne, expect temperatures between 15°C during the day and 6°C at night. Finish your sightseeing early on the 13th (Thu) to allow enough time to travel back home.